Many of us may only associate Aeroplan with the reward miles we save up to redeem for travel, but as they grow in terms of their food and beverage sponsorships we will begin to see them as big players within the largest food festivals across this city and country. 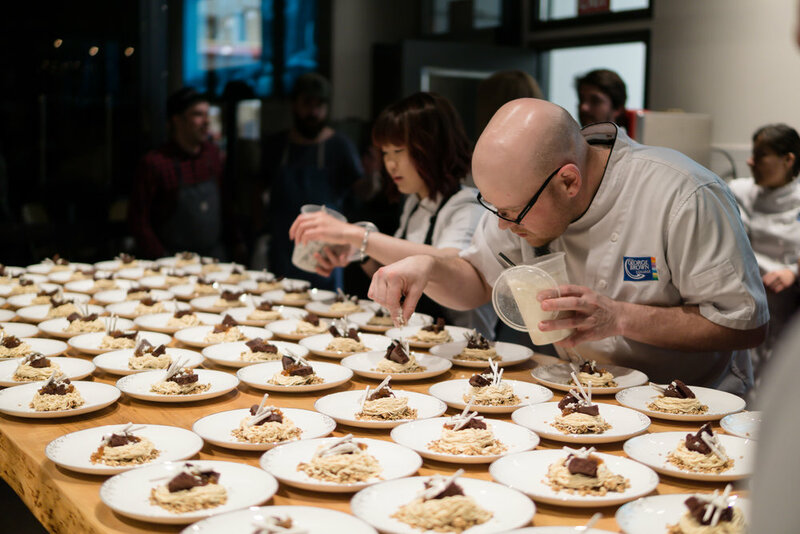 With some exciting new partnerships already, Aeroplan is the Official Premier Sponsor of Toronto's Winterlicious and Summerlicious this year, which is one of the most prestigious and popular culinary events in Toronto with similar culinary sponsorships in Montreal and Vancouver. 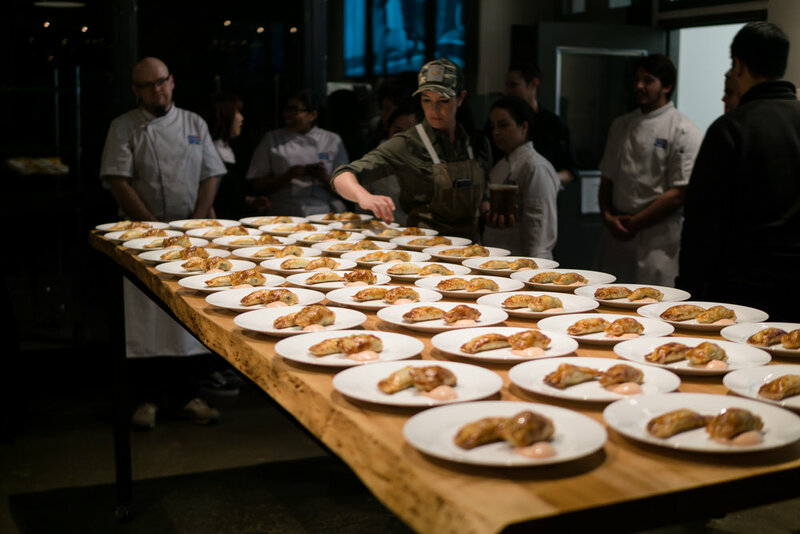 Last week I was fortunate enough to be part of the Aeroplan team as we embarked on a night full of delicious food that was all for a worthy cause at the Chefs for Change dinner. 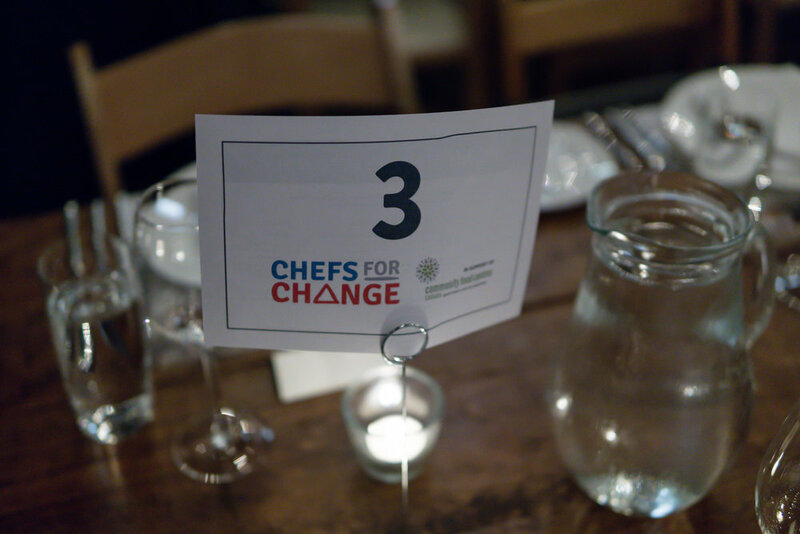 For the first three months of the year, Chefs for Change is an event that hosts some of Canada's best chefs during five nights of food. 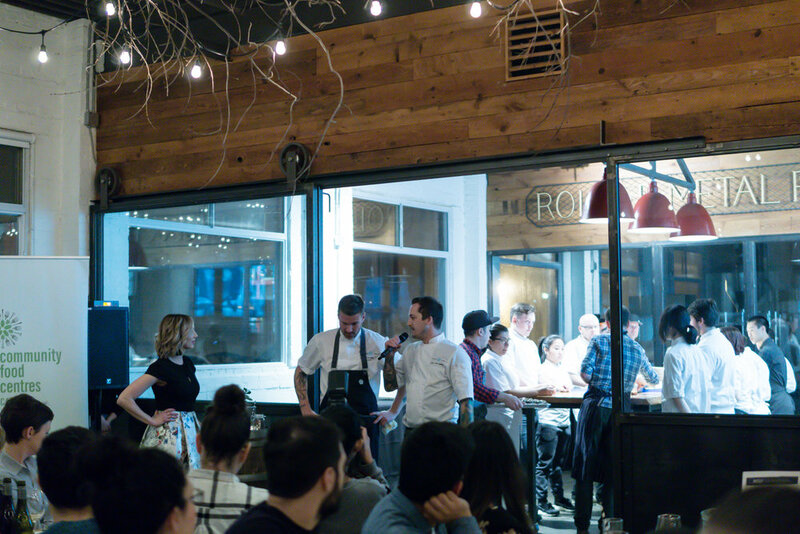 Each night features a special culinary collaboration from the top chefs in Toronto and across Canada. These dinners also bring profound meaning, substance, and community involvement as the net profits from the ticket sales will go help Community Food Centres Canada, an organization that builds health, belonging, and social justice in low-income communities across Canada through the power of food. This has been an organization and cause that Aeroplan has been supporting for a number of years and a cause dear to their hearts. 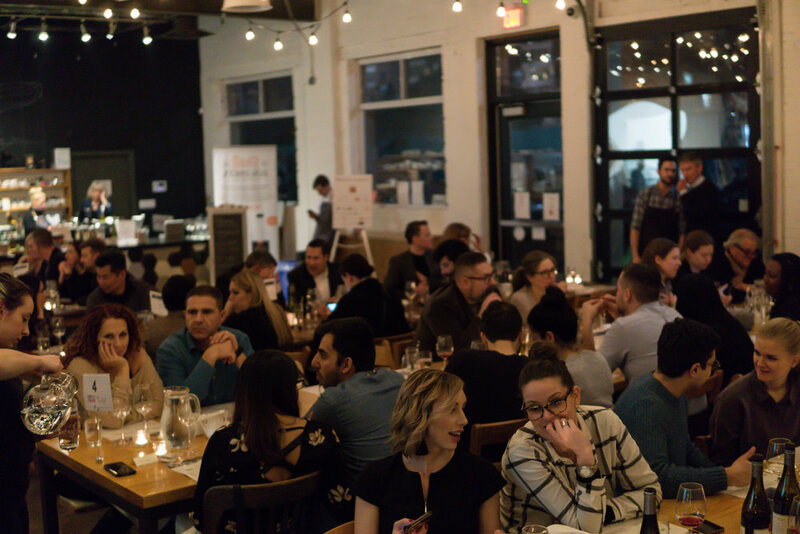 Each of the five nights will incorporate a theme into the dinner that will all take place at Propeller Coffee Roastery, which gets transformed from the neighbourhood coffee shop in the day into a stunning culinary venue at night. 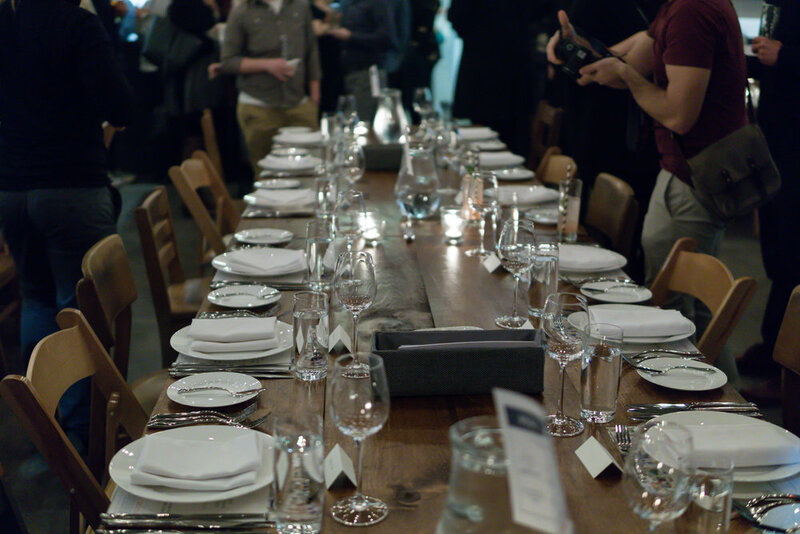 I was fortunate enough to be part of the CONNECTION dinner that featured top chefs from the city's best restaurants like Richmond Station, Bar Isabel, Momofuku, Beast, Drake Hotel, and The Tempered Room. Before the four-course seated dinner began, reception started off the night with wine, cocktails, and canapes as guests mingled with each other. Of course as one foodie does, my guest and I headed over to the bar to grab some drinks as we walked inside the venue. To say we were spoiled is an understatement. By the time we left the bar we had a refreshing gin cocktail from Top Shelf Craft Distillers on one hand, and a bottle of wine in the other. In all my past events when you ask for some wine you get a glass, but not here! You get to walk away with an entire bottle! 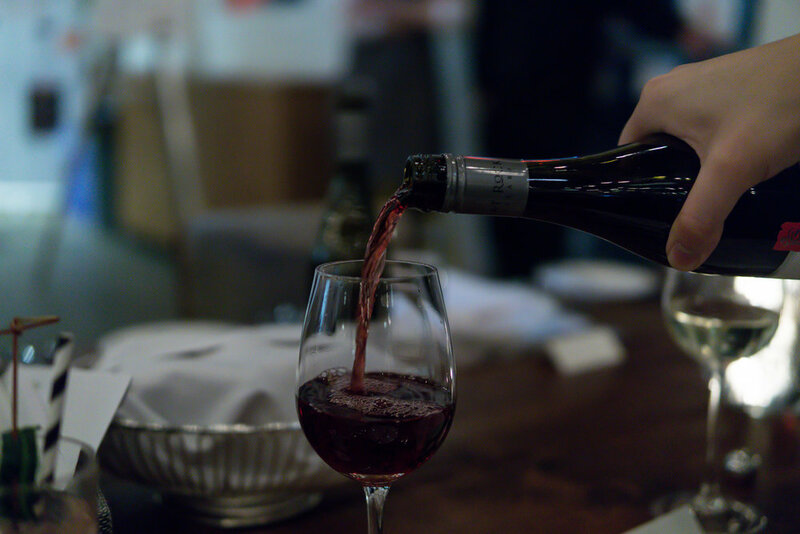 Shout-out to Flat Rock Cellars and Cave Spring Niagara Peninsula for the Pinot Noir and Riesling to keep us hydrated throughout the night! As 7:15PM approached the main event was about to start and we gathered to our assigned seats at our communal tables (table 3 represent!). Host Michelle Jobin guided us along throughout the entire evening introducing us to each chef as they came out to talk about their dishes they created for the dinner. With introductions complete the plates were ready to be rolled out to each of our hungry bellies and the exciting four-course dinner was to begin. 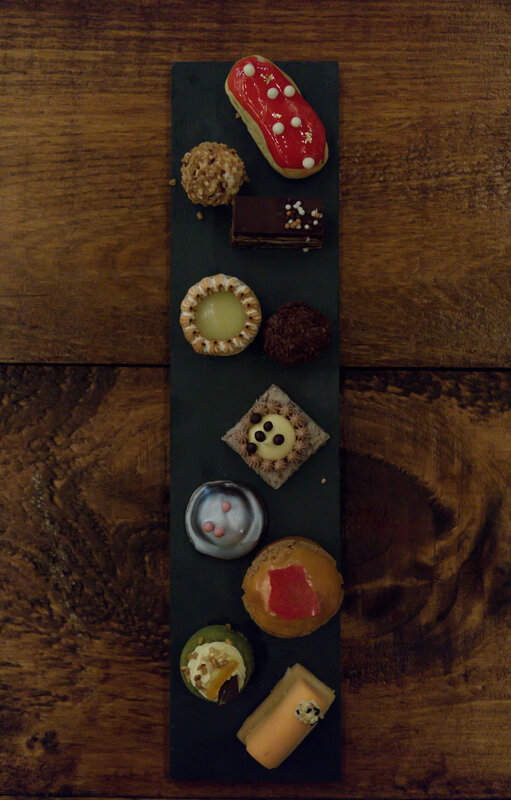 Here's a breakdown of what we ate! To end the night off after such a fulfilling and exquisite dinner we all just had, Nick Saul (President & CEO of Community Food Centres Canada) gave us all an inspiring speech and reminded us all of why we were all there. There are many people out there who just don't have the means to eat lavish meals everyday, who fight every night to put a simple meal on the table for their family, yet it is food that is often the catalyst that brings people of all different ethnicities, ages, professions, religions, sexual orientations, political views, rich and poor to that same dinner table where friendships and community can be formed. Food can be used as a powerful tool for greater health, equity, and social change, treated as a basic right where everyone has the means, knowledge, and voice necessary to access good food with dignity. There will be even more opportunities coming up for members to earn and redeem miles for travel just by tasting the world right here at home with friends and family. If you are already an Aeroplan member and would also like to donate your miles to Community Food Centres Canada, please visit this link here. I would like to thank Aeroplan on bringing me along to such an inspiring, uplifting, and delicious night. 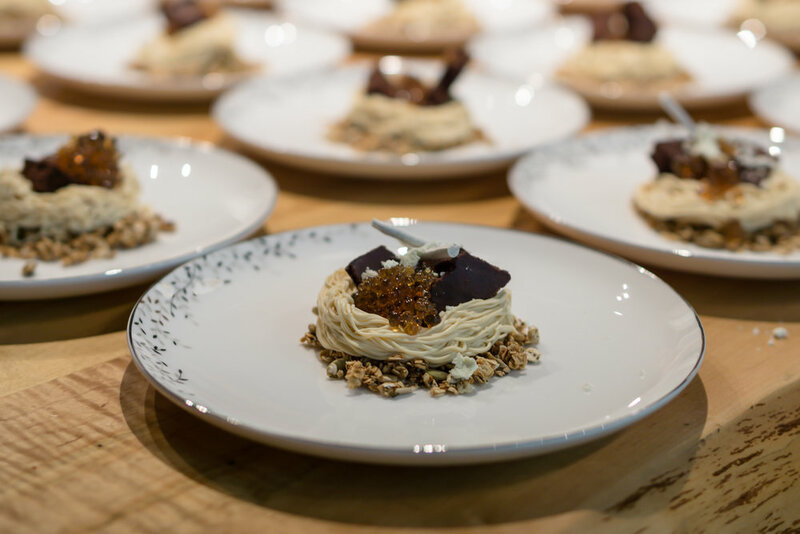 Great food is an integral part of the travel experience and Aeroplan is on the forefront of helping people share in meaningful moments by bringing everyone together through food and drink, a journey taken not in the sky but through our taste buds.